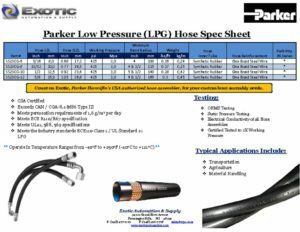 We assemble CSA certified Parker Hannifin Low Pressure hose assemblies to provide a significant benefit to your LPG / CNG powered equipment. 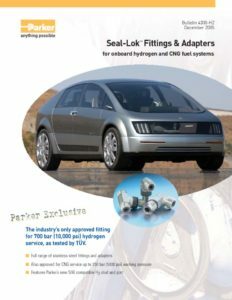 Count on Exotic for the most extensive offering of Seal-Lok™ fittings. 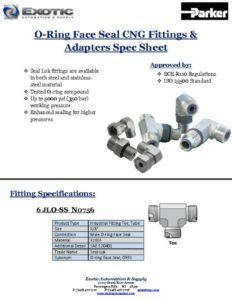 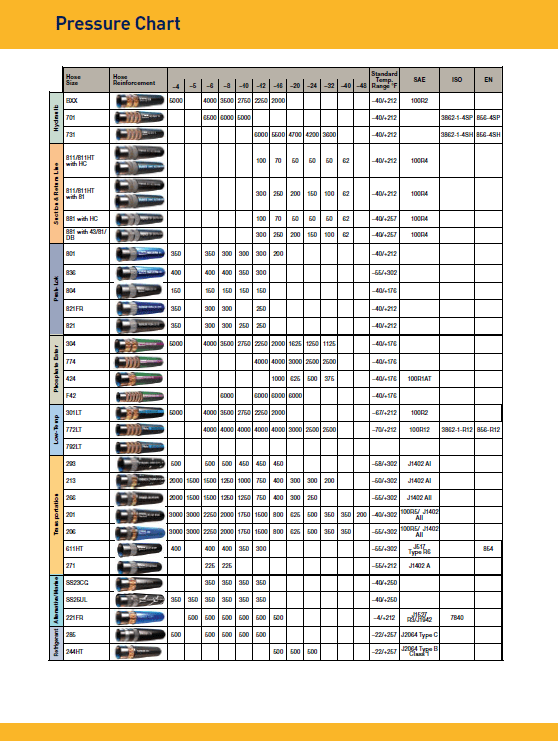 Fittings are available in both steel and stainless steel compounds and are approved to the ECE R110 regulation and ISO 15500 standards. 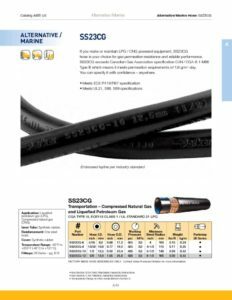 Exotic’s SS23CG LPG & CNG LP hose is known for its gas permeation resistance and reliable performance. 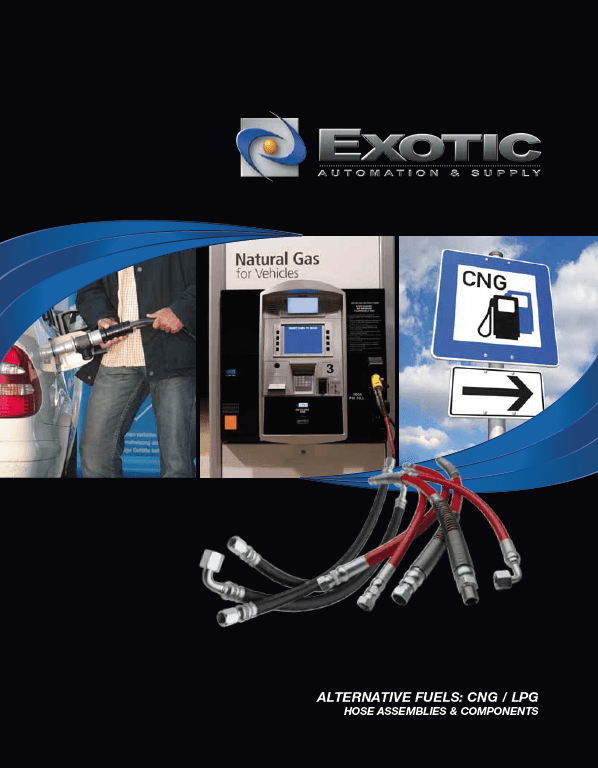 Its permeation requirements exceed the Canadian Gas Association specification of 1,6 g/m2 per day, allowing users to specify it with confidence – everywhere.